I plan on publishing several fiction and nonfiction books 1n 2019. These are some questions that I am asked frequently about my writing, so I thought I’d answer some of them here. When I was a child, I thought about being an author, attorney, or photographer. In elementary school, I used to tell my classmates elaborate stories as we sat on the steps or leaned against the brick building shooting marbles in East Los Angeles. One day when I was in first grade the kindergarten teacher was ill and there was not an available substitute. My teacher asked if one of us would like to tell stories to the kindergarten classes. Grateful to get out of class I volunteered. After making up different stories as I went along based on the children’s responses — I was hooked on storytelling. I read books voraciously including the book series that begins with The Wonderful Wizard of Oz by L. Frank Baum, Twenty Thousand Leagues Under The Sea by Jules Verne, Through the Looking-Glass by Lewis Carroll, and the Adventures of Huckleberry Finn by Mark Twain. According to my older sister, I was writing complete short stories by age four. I wrote songs and poems and more short stories in elementary school. In junior high school, I wrote two plays, Old Glory and Adelante! These were presented to the entire student body. I wrote the Ballad of Charley Tate and had a music score written for it when I was in high school. Then, I finished my first Science Fiction novel, Vargas off Limits, when I was a senior. Unfortunately, I lost this Science Fiction novel after I was drafted and sent to Vietnam. I like Michael Connelly, Clive Cussler, Dan Brown, David Baldacci, H.G. Wells, Edgar Allan Poe, O. Henry, Ralph Waldo Emerson, James Patterson, Agatha Christie, Lee Child, Dr. Seuss, Louis L’Amour, Dean Koontz, Aldous Huxley, Zane Grey, Michael Crichton, Tom Wolfe, Ken Follett, George Orwell, Harper Lee, Somerset Maugham, Graham Greene, Dorothy Sayers, Eric Ambler, Arthur Conan Doyle, John Steinbeck, Hemingway, Cheever, Updike and many, many others. What are some classic books that you loved to read? There really is no typical day. I have a rather flexible, writing routine. There are breaks for lunch and taking a walk around the Cedaredge Town Park. Most of my writing is on a desktop computer at home in my den using Dragon NaturallySpeaking dictation. When I am away from home at the park or at local coffee shops, I write using the Aegir smartpen Aegir Marlin (pronounced “ay-geer”) is named after the Norse Sea God, paying tribute to the Swedish heritage of the company. I write on a special note paper and watch it instantly appear on my iPad Pro using Bluetooth to automatically sync data. I can later transfer my writing to my Microsoft Word on my desktop. Do you ever play music while you write? The kind of music I play when I write depends on the nature of the story I am working on. Sometimes I like fifty’s and sixty’s music for nostalgia. Other times I may prefer classical or jazz. I might even listen to country western music. What is your ideal writing day like? The ideal productive writing day would begin where I wake up early and walk around the park taking photographs with my compact camera. Then I would sit on a bench at the park writing on a notebook with my Aegir smartpen. Later, at home, I would transfer what I wrote to iPad Pro and then to my desktop for editing. After breakfast, I’d write more on my computer until lunch which I might eat at one of the wonderful restaurants within walking distance of my home and visit with friends. Back at home more editing on the computer until dinner. Getting to do something creative every day is a wonderful gift! I love knowing that I can embrace and play with these characters and then share with my readers. What life experiences most influenced your writing? My greatest influence is the intense environment that I grew up in and my world at large. I grew up in a single-parent home in East Los Angeles, California with racial tensions between whites, blacks, and Hispanics. Nearly every geographical section of the city had gang territory which they fiercely defended. The White Fence gang recruited me while I was in Junior high school My fourteen-month tour of duty in Vietnam provided a wide range of experiences that also influences my writing. It comes from everywhere and everything including hard copy magazines, news, and articles that I read on the internet. Sometimes I partially base the stories on factual events. For instance, when I was editor of my high school newspaper, one of my fellow students who worked on the paper died in a tragic car accident. She was a beautiful and vivacious being whose life ended before she had an opportunity to fulfill her dreams. This memory stimulated several situations and characters. From people, I observe in markets, stores, parks, cafe’s, nature, etc. Some are a conglomeration from my past that has a smattering of qualities and personality traits drawn from people I know, with a bit of blending. How much autobiographical content goes into your characters and situations? Sometimes there is a lot. Other times there is none. Some characters remain in my mind and heart after the writing is over. I love, honor and respect each of them in a different way. I am pleased to say that I have never experienced writer’s block. Perhaps, because I am working on several works at the same time I am blessed to always have something to work on. What value do you place on research? I value and want to honor accurately the settings, characters, historical period, and locations. I want my writing to earn the trust of my readers. I was one of the people who spotted the jet aircraft vapor trail flying high above the 1800′s western setting television movie. I do not want to have this happen in my writing due to poor research. How do you do the research for your books and articles? I do thorough readings of books and literature of the field and the locations where my novels are set, interview numerous people including police officers, FBI agents, scientists, and forensic people if the book is about murder. And usually, use my camera to record the settings. I generally do. My books and stories are both character and plot driven. I sometimes use a structured outline and lengthy character biographies or personal discovery of my characters. Other times I embrace the characters who guide the story. What writer related work have you done? In California, I helped create a community theater. I have organized and directed two national writer’s conferences in Oregon and Washington. I was the publisher and editor of a monthly literary, art, and photography magazine. Do you have any favorite television shows? I enjoy watching Murder She Wrote, Matlock, Columbo, Alfred Hitchcock Presents, Frasier, Animal Planet, Military, Biography, and SyFy Channel. When I was a small child, I clicked away on an old Underwood typewriter. By the time I was able to hold a pencil and print, I was writing short stories. Do you work on one project at a time or several? I enjoy working on several manuscripts at the same time. 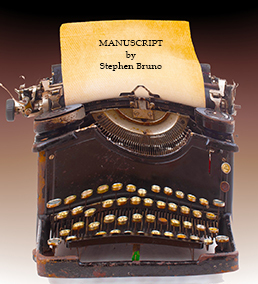 Currently, I have around 25 manuscripts in some degree of completion. Are you interested in having your readers purchase your books to read on the Amazon Kindle or iPad? I have many fiction and nonfiction books currently on my iPad Pro including Kindle books. Every morning I read several newspapers. I read a novel on my iPad before going to sleep at night. What is in the future with your writing? I am about 70% completed in several novels and 80-90% completed in numerous short stories. I would like to complete as many of these as I can before the end of 2019. Can I contact you if I have a question about your writing? Yes, I welcome your communication by sending an email to me. What do you use to stimulate your writing? I keep magazine pages or internet copies of items that capture my interest on my desk. I like carrying a notebook for a quick story idea. I send emails to leave writing notes and leave some on my iPad Pro. I picture the story as a movie or a play. I bring my iPad Pro with me to read the newspapers for story ideas and for research with the many books on writing that I purchased. I find the characters for my fiction everywhere. One reason I usually carry my camera. My sense is that from concept, to outline, to finished product, it is about 18-24 months. And often longer. This includes research, and two to four drafts, plus final editing and proofreading of the galley. However, I’ll let you know for certain when I complete my first novel! Can you send me a signed photograph of you? I don’t have any autographed photos of me. Authors that I know do not do that. I think that this is more of an actor’s response. What’s the best writing advice you’ve ever gotten? What advice would you give aspiring authors? Keep writing and do not give up. Read as much as you can and write as much as you can. Try to write a little bit every day. If you can, try to write at the same time every day. A good day for most writers is five double-spaced pages of new material. A great day is ten pages. Don’t be too hard on yourself. You can’t fix something if you never get around to writing it in the first place. If all else fails and you can’t get anything on the computer on a given day, you should try to read some of the pages you’ve already written. At least you’ll be able to keep the story in your head. You’ll get better at writing and edit yourself as you go along. Try to write the story in a voice that you enjoy hearing and you’re comfortable writing. It will sound more authentic if you do. Your story will be better and sound more authentic if you remain true to your instincts and tell your story the way that you’d like to tell it. Exciting things are happening in the literary world that gives authors more avenues to get their work out to the public. Someone will believe in it and champion it on your behalf. Find an agent. Receive feedback from readers while your book is still in manuscript, and be prepared to rewrite and edit your work. Join a writing group if you feel really in tune with the other members. Attend writers’ conferences.